E. Douglas Jensen is an internationally acclaimed pioneer and thought leader in real-time and distributed real-time systems–especially dynamic ones. As an industry employee, and as an independent consultant. Some highlights of his career are synopsized below. His research at Honeywell's Systems and Research Center was the basis for the world's first commercial off the shelf distributed real-time computing system product--the Honeywell H930™. That was a very successful product, sold to international navies for weapons control on small ships. He made important architecture and design contributions to the world's first distributed real-time computer control system product for industrial automation, the Honeywell TDC-2000™. As part of his work on Honeywell's ballistic missile defense program, he invented the concepts for generalizing traditional static real-time computing systems to more widely applicable dynamic real-time computing systems, for which he became (and remains) internationally famous in the real-time research community. 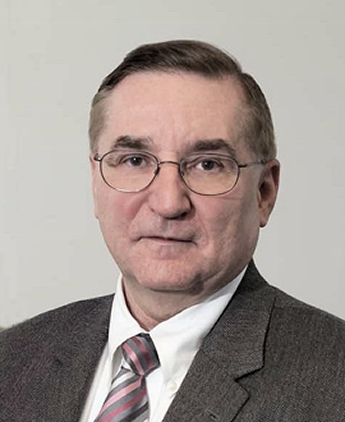 For all of the above and other advances in distributed real-time computing system concepts and technologies, he received Honeywell's highest annual technical award for his major impacts both on advancing the state of the art and on Honeywell's business. He next joined the faculties of Carnegie Mellon University's Computer Science (CS) Department, and its Electrical and Computer Engineering (ECE) Department. There he created and led the largest real-time research group of its time, sponsored by all of the DoD services, DARPA, and numerous corporations. His group of 21 included his five CS Ph.D. students, his five ECE Ph.D. students, several post-doctoral and visiting scholar researchers, and some staff members. The best known of his group's projects is the Alpha distributed real-time operating system kernel, which was the world's first (and still only) dynamic real-time operating system kernel. It required creating a number of unique features that were subsequently incorporated into several commercial prototype operating systems. While at CMU, he performed consulting for the day per week allowed. His numerous industry and government clients sought so much of his time that he needed to add some other members of his group for assistance. His consulting included being an expert witness (always on the winning side) in a number of intellectual property and fraudulent product lawsuits. He also consulted for C-level executives and Boards of Directors. He was in high demand as a speaker at universities and companies throughout the world. He was selected as an ACM Distinguished Lecturer and as an IEEE Distinguished Visitor, and was the first annual Distinguished Lecturer of the Japan Electronic Industry Development Association. He taught advanced computer architecture, advanced computer design, distributed systems, and hardware/software co-design (all for both CS Ph.D. students and ECE graduate students). He then re-joined the defense industry where his DoD security clearance allowed him to again regain more intimate access to the most challenging dynamic real-time computing problems that are in that domain (due to hostilities and "the fog of war"). There he was awarded three consecutive highly competitive research grants focused on formalizing his principles of dynamic real-time computing and applying them to military combat systems and applications. As part of that research, he entered into collaboration with Virginia Technical University, where he co-advised seven ECE Ph.D. students, one CS Ph.D. student, and three M.S. students working on his research project. Working together seven years, they and he co-authored 125 papers about their results, published in high quality scholarly computer science journals and conference proceedings. Those papers currently have been cited over 3600 times by other authors of real-time computing papers. Concurrently and subsequently, he has continuously applied his knowledge and experience, both as an industry employee and then more broadly as a private consultant, to solving wickedly dynamic real-time computing problems--primarily for military systems (combat platforms, battle management, etc.). He has a waiting list for his consulting availability.